The final episode of Game of Thrones Season 7 is close at hand, and already you can look forward to watching all seven episodes in Full HD (1080p) on Blu-ray Disc. 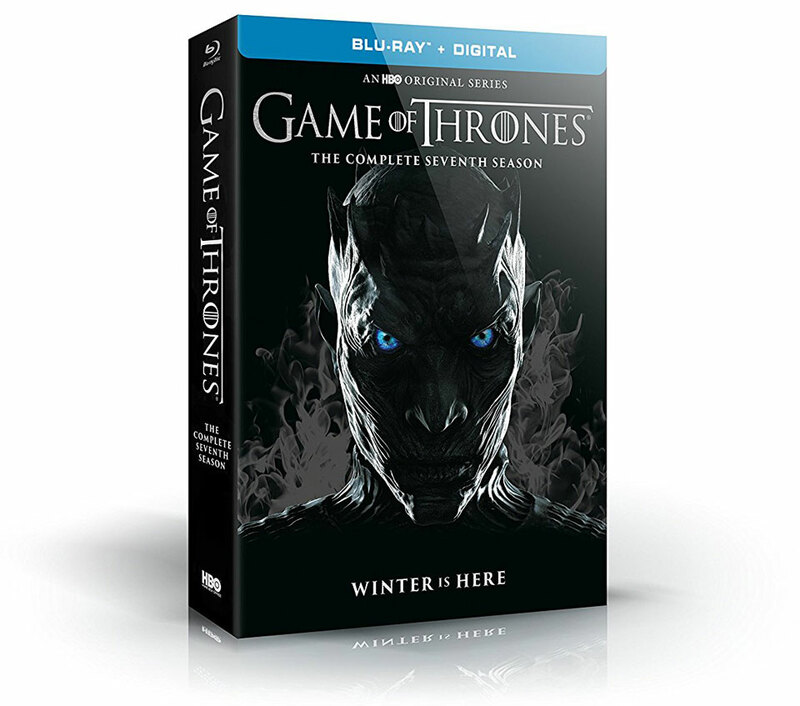 Pre-orders are readily available for the common Blu-ray edition of Game of Thrones Season 7 which you’ll be able to find at most stores, and a limited Steelbook edition from Best Buy. Both releases, including a DVD version, will be hitting shelves on Dec. 12, 2017. Like Game of Thrones Season 6 on Blu-ray, Season 7 will likely include an immersive multi-channel soundtrack in Dolby Atmos, allowing sound to even emanate from overhead. The soundtrack is also downward compatible with Dolby TrueHD 7.1 for non-Atmos systems. Video on the Blu-ray release of Season 7 will be presented in 1080p at 16:9 (1.78:1) widescreen aspect ratio. 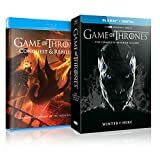 The common edition of Game of Thrones: The Complete Seventh Season carries an MSRP of $74.99 (pre-orders are currently selling for $62), while Best Buy’s Steelbook edition has a list price of $57.99. Both are hefty prices for only seven episodes, especially if you compare to previous 10-episode seasons that are priced between $30 and $40. We’re still waiting for artwork (updated with official packaging) and details on bonus material, but we’ll update this article as soon as we find out more.